Two DP70 (2170 l+1401 r). Opened 12. June 2009. Deeply curved screen is app. 9,37 x 4 meters. 90 Norwegian Skeie seats. Premiere films: "Chitis" and "The Reader". Machines removed 2015 to Orla Nielsen storage. Screen 2 is opening (expected) 19. June 2009. One DP70 (2442) from Biffen in late June / early July 2009. Machines removed 2015 to Orla Nielsen storage. Two DP70 (1401+1403). Opened 15.08.1958. 70mm from 29.12.1959 with "Sleeping Beauty" on curved 47 ft screen. Closed 07.12.1980. Last film was "Spartacus" in 35mm. Concert hall today. DP70 to Nibe but never installed. Later sold to Orla Nielsen. Seven DP70 (1401+1403+1763+2170+2171+2442+2458) from Europa Bio, Aalborg, Folketeatret, Århus and Rialto, Copenhagen. 1401 lent to Kinorevuen, Skørping, 1403 installed in private theatre, 2170 sold to Bent Refskier Svendsen, Aalborg, 2171 lent to Kino Hjallerup, 2442 installed in Biffen, Aalborg and 2458 to Kino, Hjallerup 30.09.1992-2004. 1763 from Hvalso Bio summer 2010. One DP70 (1401). Installed 2017. One DP70 (1401). Installed 2003. Will be moved to Biffen Nordkraft #1 late 2009. One DP70 (2170) from Folketeatret, Århus via Orla Nielsen, Aalborg. DP70 sold & moved 16.09.1994 to Symfonien, Aalborg. Two DP70 (1403+2170). Opened 10.09.1994 with "Vredens Dag" and live orchestra. 2170 moved to Biffen Nordkraft May 2009. One DP70 (1401) from Kinorevuen, Skørping. Installed 1999 - 2002. From Kino, Hjallerup, Denmark. Bought 04.10.1992. Bofa, Dolby CP50 and CP100. Installed 20 years in various rooms in a Frederiksberg flat. All electronics done by Bo Hansgaard and some by Alana Lyman and Stig Westergaard. 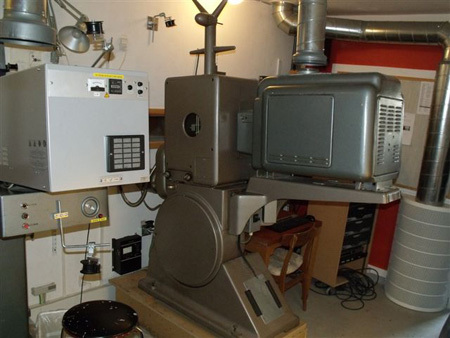 Many guests over the years have marveled at this machinery. Guests includes all family members and friends of the house, Richard Vetter, Todd-AO engineer Walter Siegmund, Carin Anne & Dave Strohmaier. Machine taken down 02.07.2012 and moved back to Orla Nielsen's storage in Aalborg, Denmark. 2. 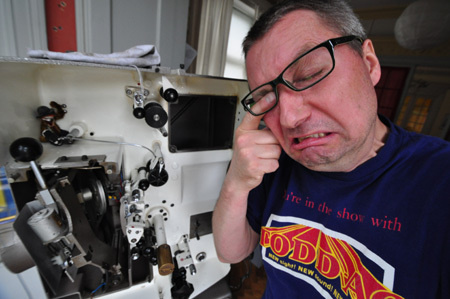 June 2012, "The World's Smallest 70mm Festival" - only two people attending around the two-foot curved screen. The editor is weeping a bit 2. July 2012 - DP70 2171 is moving out to a new home - 2171 had become a family member over the years. 2171 going to retirement home in Aalborg, in Orla's caring hands. Leaving Copenhagen 2. july 2012. Six DP70 (1640+1644). 1102 Skeie seats installed summer 1998 during THX install. Opened 03.11.1961 with "Exodus" in 70mm. Dolby CP200, SR.D, SDDS, DTS 6-track, DTS 70mm and JBL speakers. Curved 15,7 m Todd-AO screen. Biggest theatre in Scandinavia. 1179 Quinette seats installed 1988 (Originally 1521 seats). 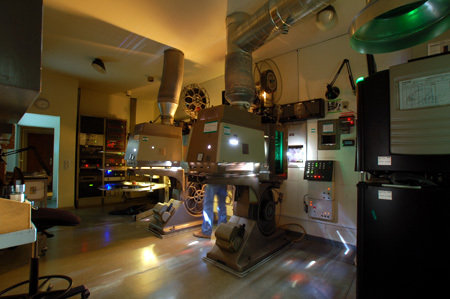 Restored 70mm versions of "Lawrence of Arabia" and "Spartacus" have been shown with great succes. "Terminator 2" was shown i 35mm CDS in November 1991. SR.D installed 10.03.1993. First film: "Alive" 02.04.1993. 6060 people saw "Baraka" in Todd-AO in 1993. Shown "Titanic" in DTS 70mm from January 23, 1998. Four DP70s for spareparts (1617+1622+2017+2018) removed to NFB Storage facility September 1998. 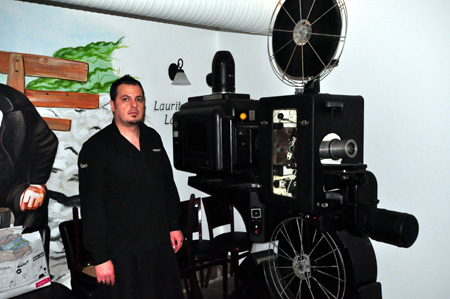 1622 exported to Pictureville Cinema, Bradford, England. DP70 1644 running "The Hateful Eight" 23. December 2015, part of a test and training. Two DP70 (2017+2018). Opened 26.12.1959 with 1225 seats, 2 Bauer U2 and a curved 23 metres Todd-AO screen. It was the largest screen in Denmark at that time. 3-strip Cinerama from 31.08.1962-20.10.1963 and 1000 seats. 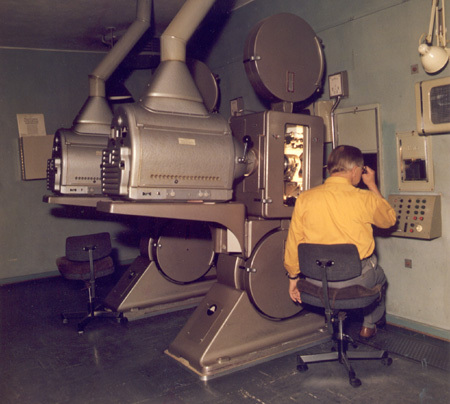 89 ft 146 degree Cinerama screen. 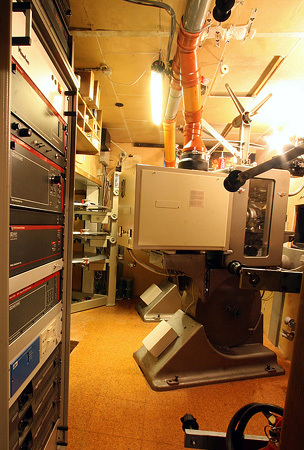 Ultra Panavision 70 (70mm Super Cinerama theatre) and 1118 seats from 21.12.1963. New 52 ft curved single sheet Todd-AO screen from 16.10.1972. Theatre closed 12.02.1981. Reopened 27.02.1981 and finally closing 15.03.1981. DP70 to Bio Trio, Taastrup. Office block with A & C Cinerama projection rooms visible from outside, until 2001, when building was demolished. Two DP70 (1645+1646) from Villabyerne 1963. 70mm from 11.08.1963. 1184 seats. Theatre closed. DP70 to Bio, Vanløse. Converted to supermarket. Opened 18.01.1938. 70mm from 14.08.1960. 1410 seats. 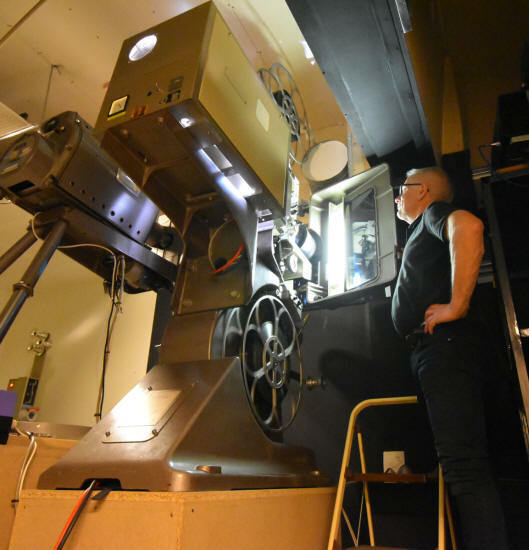 First 70mm was "Can Can" on 33 ft curved screen. 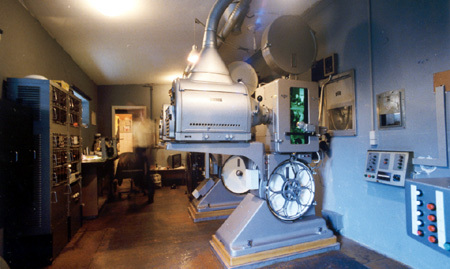 Two Cinemeccanica Victoria 8 installed 1972. DP70 to Bio, Malling 1974. Theatre closed 1978 and demolished. New Palladium with three screens built on same site. Two DP70 (2442+2458). Theatre opened 1924. 70mm installed 06.10.1966. First film in 70mm was "Doctor Zhivago". Played more than 2 years at Rialto. 737 seats. Closed 30.06.1980 with "Cleopatra" in Todd-AO version. DP70 to Orla Nielsen, Aalborg. Live theatre today. Two DP70 (823+824) and American Optical Cine Aperagon lenses. First Todd-AO theatre in Scandinavia. Purpose-built for Todd-AO. Opened to the public 24.10.1958 and played "South Pacific" and "The Miracle of Todd-AO" for 184½ week in Todd-AO. 1000 seats. 18,5 m screen with deep Todd-AO curve. Closed beginning of May 1981, last film was "The China Syndrome". Reopened 02.11.1981 and closed again 14.12.1982. Last film was "Spartacus" in 35mm. DP70 to Scala, Slagelse. Live theatre today. 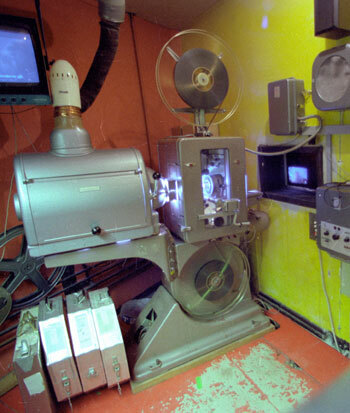 Projection room demolished. Two DP70 (1645+1646) First Drive In in Denmark. Opened 07.06.1961. Have never shown any 70mm. DP70 moved to Villabyernes Bio during winter 1961/62 and 1962/63. 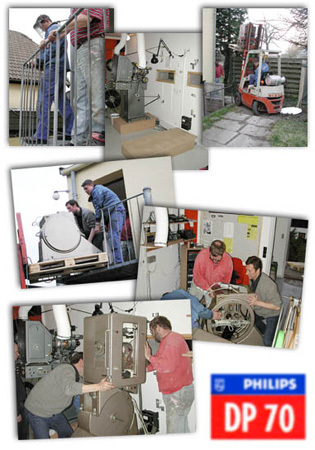 Philips FP7 and 6500 watts Zeiss lamphouses from 3 Falke bio. Original Aschcraft Super Cinex lamphouses now installed in Drive-In in Stockholm, Sweden. Cinema closed and replaced by three new screens next door. Two DP70 (1645+1646). 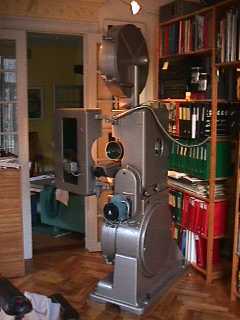 Opened 29.02.1956 49 ft screen with CinemaScope curve. 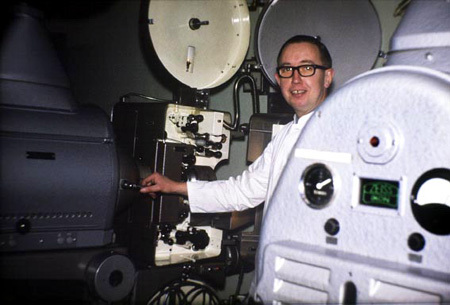 70mm from 1961. DP70 to Drive In, Farum summer of 1961 + 1962. Theatre demolished. DP70 to Nora bio, Copenhagen. Two DP70 (2171+2458) from Orla Nielsen, Aalborg. 35mm only. 2171 taken out 30.09.1992 and replaced by 2458. 2171 to Thomas Hauerslev, Copenhagen 03.10.1992. 2458 taken out and returned to Orla Nielsen summer 2004. One DP70 (1763) from Lido in Vejle. 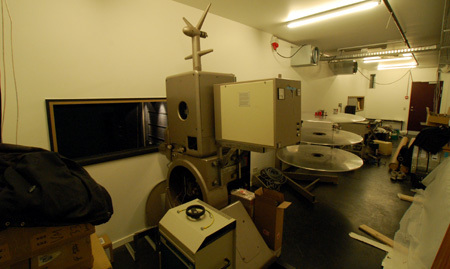 DP70 moved into projection room 26.04.2001. DP70 #1763 image by Darren Briggs in June 2010. Two DP70 (1459+1473). Opened 1943. 70mm from 20.11.1974. First film in 70mm was "Where Eagles Dare". DP70 from Palladium, Copenhagen. Flat 16 ft screen. 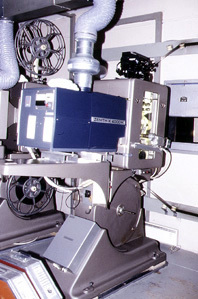 Dolby CP65 + Dolby MPU1 from 16.07.1992 with "Hook" in 70mm. DTS November 1994 with "Speed". SRD Octobr 1995 with "Crimsom Tide". SRD-EX August 1999 with "Star Wars Episode 1" . Summer 1999, 70mm for the first time in 3 years with "Baraka" and "Out of Africa". #1473 taken down 23.01.2011 to make room for digital projector. Sad day for Per. #1459 taken down 14.05.2012. Both machines had been in service from 1960 - 2012. Both machines moved to Slagelse, Denmark to private collector. Two DP70 (2442+2458) from Rialto, Copenhagen replaced two Victoria 5 in 1985. Closed 29.11.1987. Theatre converted to photoshop. DP70 to Orla Nielsen, Aalborg. Two DP70 (1617+1622). Opened 21.08.1958. 70mm from 06.02.1961. First film in 70mm on 43 ft curved Todd-AO screen was "Porgy and Bess". Closed 10.12.1987. DP70 to Imperial bio, Copenhagen for spareparts. Theatre rebuilt to a disco Grand Palace and then closed again. 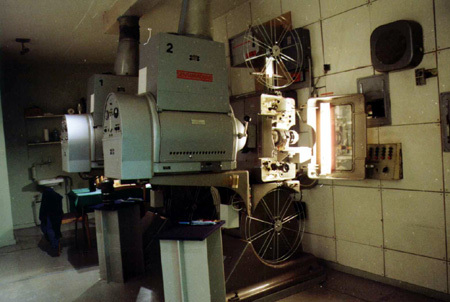 Office in projection room. Now a super market. One DP70 (1401) from Europa bio, Aalborg. Only 35mm but with 4-track magnetic sound. DP70 on loan from Orla Nielsen, Aalborg. 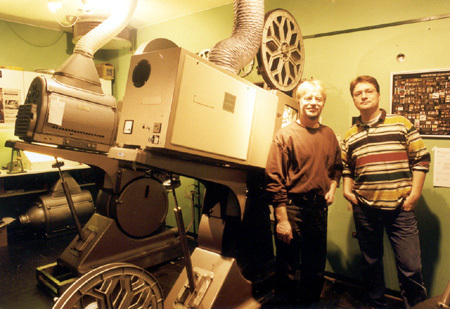 Projector re-installed in Aalborg 1998. Two DP70 (823+824) from 3 Falke bio 1986. 70mm from late 1969, Victoria 8. Theatre closed 1989. DP70 moved to Biografen, Slagelse. 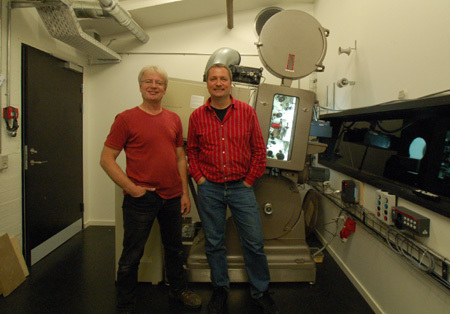 Two DP70 (2017+2018) from Kinopalæet, Copenhagen. 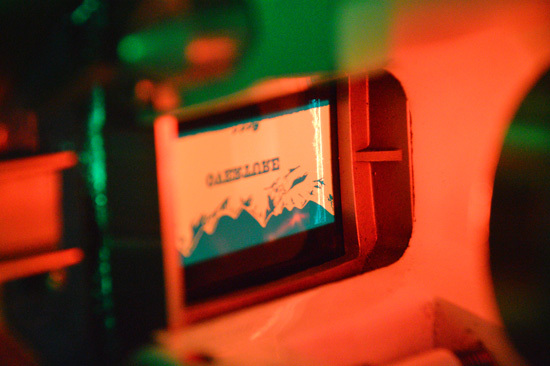 Only 35mm. 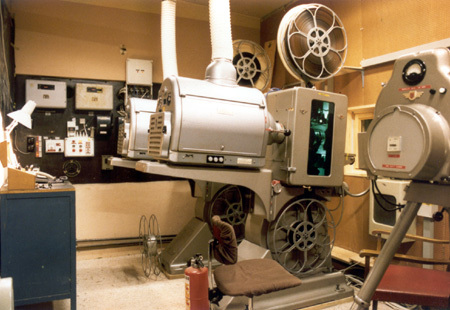 Taken out October 1992 and replaced by 2 Bauer U4 from closed Cinema 1-8. DP70 to Imperial bio for spares during April 1993. Two DP70 (1645+1646) from Nora bio, Copenhagen ca 1976. Opened 02.03.1962. Only 35mm on 12 m curved screen. 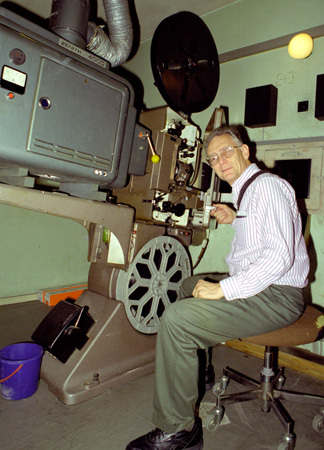 New CinemaScope lenses spring 1994. One DP70 (1645). Came from Bio in Vanløse. Now used as decoration in the restaurant and has been painted with black paint. Two DP70 (1763+1764). Opened 14.05.1955. Todd-AO from 08.01.1962. 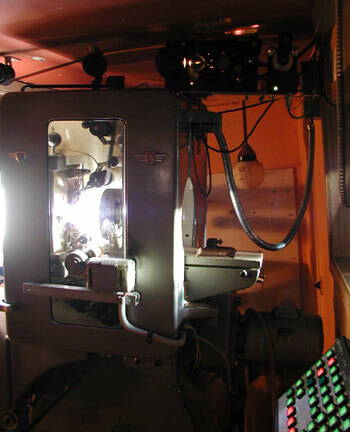 First film was "South Pacific" on 14 m curved screen. 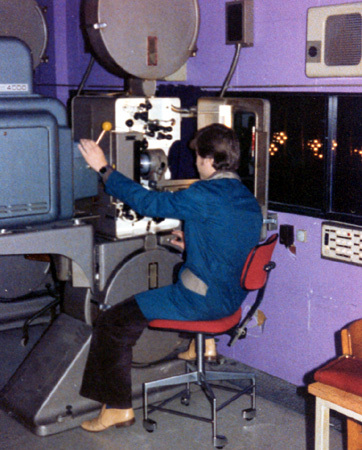 3 screens from 1977 and only 35mm. 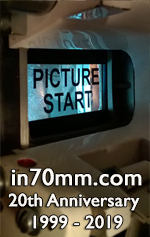 70mm can easily be restored in original screen #1 if 70mm prints will be available. 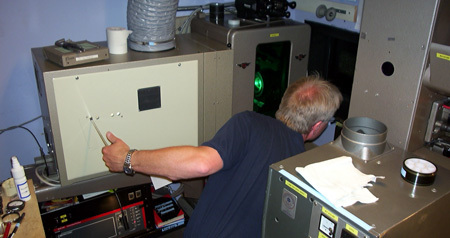 In 1999 and 1993 70mm prints were available but 70mm was not restored, however. DP70 1763 to Hvalsø Bio & Kulturhus April 2001. Lido is closed and has moved to a new location. DP70 #1764 still at original site, which has been turned into a gym. Two DP70 (2170+2171) from March 1965. Opened 22.12.1956. 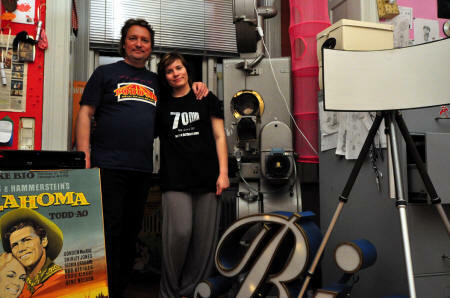 First 70mm film "Fall of the Roman Empire" on 11,8 m curved screen. Rebuilt to 3 screens. 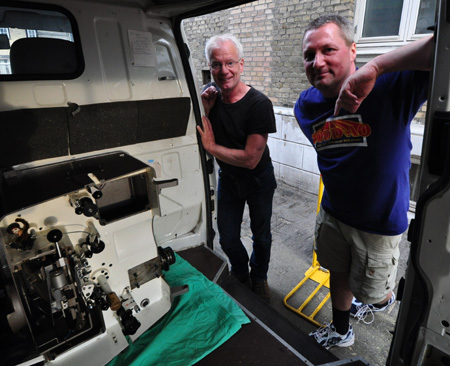 DP70 removed and sold to Orla Nielsen, Aalborg. Victoria 5 instead. Closed and now supermarket.